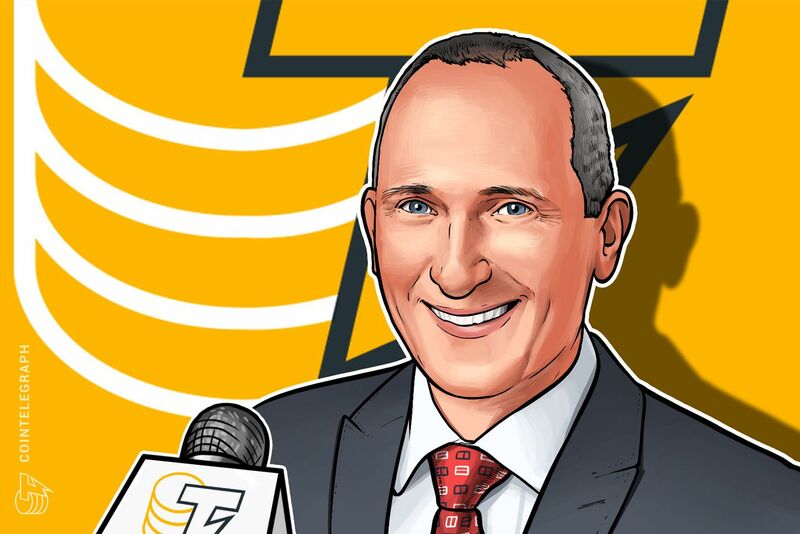 Adrian Hasler, the Prime Minister of Liechtenstein, is certain that blockchain technology will have an impact on a variety of areas and is preparing a new blockchain law to provide essential requirements in order to establish a regulatory base for blockchain businesses. The blockchain law — so called Blockchain Act — was announced by Adrian Hasler at this year’s Finance Forum on March 21. According to Adrian Hasler, the new act is about integrating current business models in regulatory terms in order to give companies and their clients a legal base. The planned act is expected to be circulated for consultations this summer. Cointelegraph spoke with the prime minister about blockchain regulation, the politics regarding this technology and cryptocurrencies, ICOs and the business climate in Liechtenstein. Cointelegraph: In your greetings at the Finance Forum you announced a new blockchain law. What makes this regulation special? Adrian Hasler: We see great potential in blockchain technologies that go far beyond what we can observe today. Our law is designed to serve as the legislative basis for such a token economy and thereby provide regulatory certainty for all participants and overall further positive development [in this space]. Blockchain can serve as an important base for a variety of economic applications, covering not only payment transactions but broader financial solutions, industry use cases and general applications. CT: Could you specify the implications of such a regulation when put into place for blockchain businesses and the average citizen? How can they profit from it? AH: We expect many more rights and assets put into blockchain systems in the future. One example: in order to effectively capitalize on the advantages of these efficient transaction systems we need a lawfully secure connection with the physical world, which we aim to achieve with state regulatory oversight. This will create trust, which is important for blockchain businesses and citizens. CT: Why is blockchain an interesting topic for Liechtenstein? AH: We have dealt with possibilities and risks associated with blockchain in the past. We view some opportunities here but also certain challenges for all economic sectors, especially the financial sector. It is important for the state of Liechtenstein that the government and authorities deal intensively with the consequences in practices to be able to treat companies fairly and competently. We aim to actively accompany this development. CT: Are you optimistic about the future of blockchain and cryptocurrencies? AH: We observe a remarkable, globally oriented, and well-educated scene that is very much involved in the advancement of blockchain technology, and we believe that we are only at the beginning of an exciting and long-term development. Cryptocurrencies for me represent merely a fraction of possible use cases of blockchain in a tokenized economy. I believe we have to distinguish between payment traffic, stable coins representing legal means of payments and self-sustaining cryptocurrencies. It goes without saying that payments within a token economy are executed via blockchain. In this context, it can be assumed that stable coins, which are linked to legal currencies, will play an important role. Cryptocurrencies can play a significant role in the future once they become widely accepted. CT: Do you see an interest in blockchain projects and demand for cryptocurrencies from the citizens of Liechtenstein? AH: Liechtenstein accounts for a relatively large blockchain scene with a very big interest in blockchain projects and cryptocurrencies. For a layperson however, it seems relatively hard to accurately assess the risks of such an investment. Partaking in an ICO alone can be quite difficult. For this reason, there are increasingly more financial products entering the market that make investments easier. However, these are currently only approved for qualified investors. CT: The Liechtenstein family bank Bank Frick allows direct investments in cryptocurrencies. Do you support the idea of crypto-banking as an alternative to traditional banking? I really do not see a contradiction between crypto banking and traditional banking. AH: I rather expect to see an integration of blockchain technology and cryptocurrencies in the financial sector. I do applaud this development because it introduces high standards und legislative security for investors of the traditional finance sector on blockchains. Of course, we need to make sure that the advantages of the crypto world are sustained as best as possible. CT: Are you yourself dealing with cryptocurrencies or investing in blockchain projects? AH: No, in my function as head of the government, I keep a low profile here. CT: Liechtenstein has become a favourite location in the world, to start ICOs. What are the reasons? AH: One important reason is the openness of the authorities and the government for the new technologies and the subsequently acquired knowledge on how to use them. Surely it helps that you have very little response time as a company. It is relatively quickly possible to schedule a meeting with the ministry of the FMA [financial authority of Liechtenstein]. Furthermore we introduced a so-called regulatory laboratory at the FMA, which is a competent contact for innovative companies. Especially Fintech and blockchain companies seem to use this option intensively. CT: Liechtenstein is subject to certain European Union regulations. Have those furthered the advancement of innovative ICOs or rather hindered it?